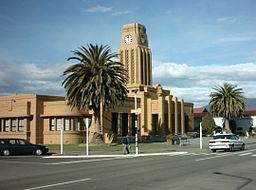 Westport (Māori: Kawatiri) is a town in the West Coast region of the South Island of New Zealand. It is on the northern bank and at the mouth of the Buller River, close by the prominent headland of Cape Foulwind. 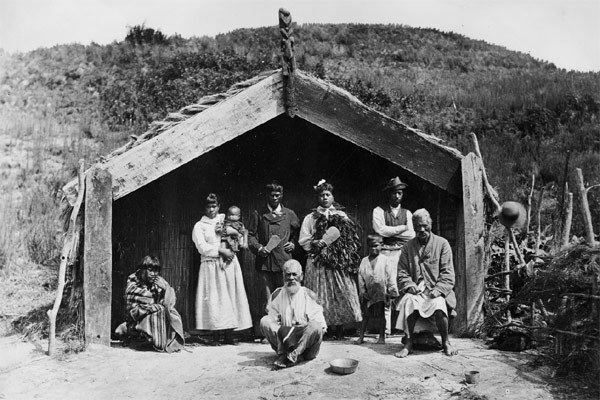 It is connected via State Highway 6 with Greymouth, 100 kilometres (62 mi) to the south, and with Nelson in the northeast, via the Buller Gorge. The first railway of the area in 1864 ran from Westport 18 kilometres (11 mi) to the coal fields, most of them north of town. The first section of railway from Westport to Fairdown via Sergeants Hill opened on 31 December 1875; this line ultimately reached Seddonville in 1895 and was known as the Seddonville Branch. From this beginning, an isolated network of branch lines was developed and it was not linked to the national network until the completion of the Stillwater–Westport Line through the Buller Gorge in 1942. The town used to have one cinema / theatre, the St James Theatre, able to seat 424 patrons for film screenings, theatre productions or other activities. After being found structurally unsound, the theatre had to be demolished. A new theatre has since opened. The NBS theatre has two movie theatres, one which seats 55 people and a boutique theatre that seats approximately 20 people. This theatre also has a large facility with seating for approximately 370 people and a stage for performing. The Solid Energy Centre, a sports complex, was opened on 18 April 2009. Buller High School is a secondary (years 9–13) school with a roll of 336. The school celebrated its 75th anniversary in 1997 but also claims to have been operating for over 100 years, due to its connection to earlier secondary schooling in the district. St Canice's School is a full primary (years 1–8) school with a roll of 140. It is a state integrated Catholic school and has operated since at least 1882. All these schools are coeducational. All have a decile rating of 4, except Buller High School, which has a decile of 3. School rolls are as of July 2017.